BIG motor, bullet proof components and a Horn that went Beep! Beep!! Side Glass, Manual Mirror, 5.5 inch Steel Wheels and Dog Dish Hub Caps. knew a thing or two about tuning the Great Elephant, you had no chance. 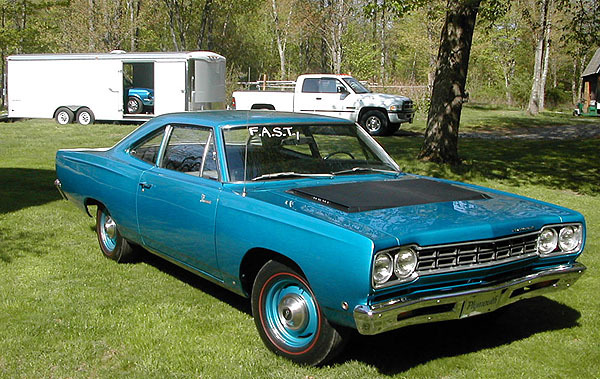 This 1968 Hemi Road Runner belongs to My Father In-Law, Dalton. 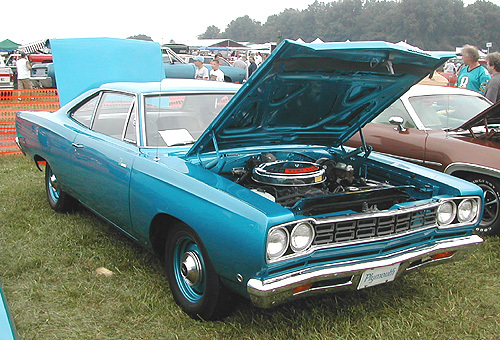 Dalton purchased his Road Runner at the 2006 Mopar Nationals. Super Trak Pak 4.10 Dana, AM-Radio and Tach. 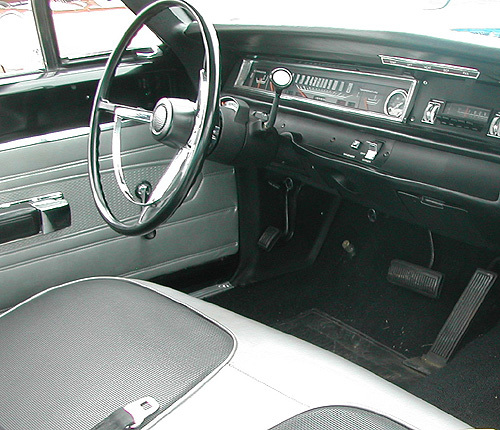 Torque Flight Transmision and is also an Early Production Model. 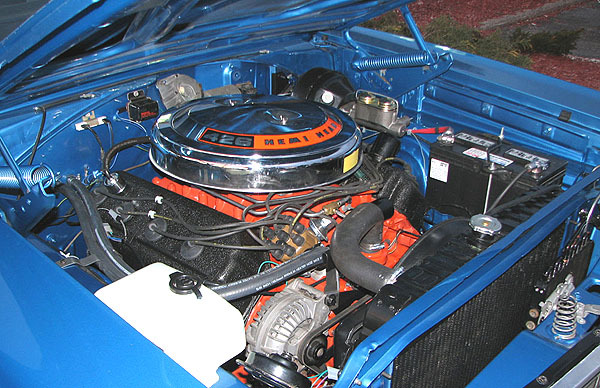 The Road Runner wears all of it's original sheet metal and interior components. 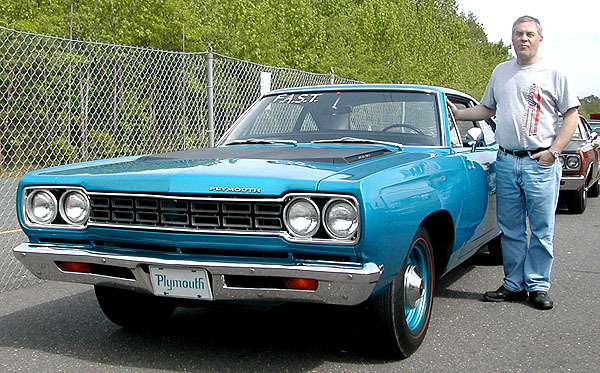 It only had 36000 miles on the odometer when he purchased the Road Runner. My father in-law is the baddest, coolest, strongest, funniest man to come out of Northern Maine. There are many many stories about this man and they are all true. Back in the '60s Dalton worked for Secord Chrysler Plymouth with his brother Bernard. Dalton's other brother Darrell worked at North Line Dodge in Houston Texas. Dalton had a new 1968 Dodge Charger RT 440 auto and his brother Bernard just purchased a 1969 440+6 4 spd. 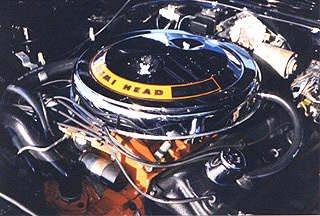 Roadrunner. Well, to this day, Dalton remembers most of the cars he worked on. In fact, we were at a cruise night a few years ago and a man found out that Dalton worked at Secord Chrysler Plymouth. 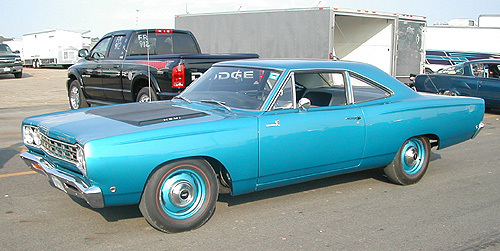 The man asked if he remembered working on a green 1969 Hemi Roadrunner that this man purchased new. Well, did he remember? He sure did! He went on to tell the guy that he remembered the man would always come in for a valve job and request Dalton do the work, and after he was done setting the valves, Dalton would take the Roadrunner and pound the $h!t out of it. 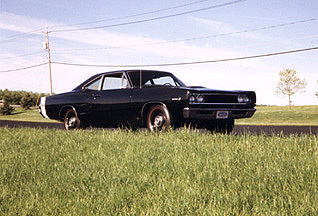 In 2006 Dalton Sold his 1968 Hemi Super Bee that he purchased in 1992. Tinted Glass, Tic Toc Tak and AM-Radio. 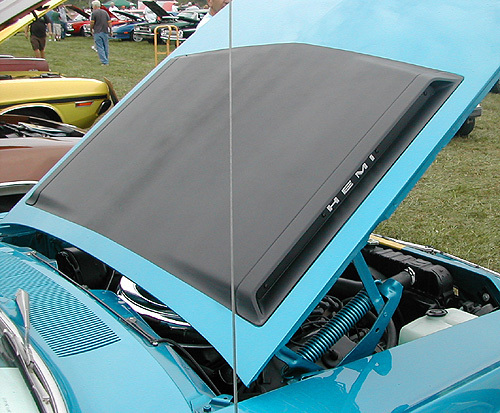 as his Superbee has been featured in High Performance Mopar Magazine, Hemi Muscle Magazine and has won many Prestigious Awards.